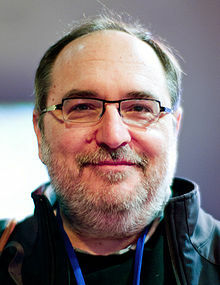 2001– Dave Weiner added a new functionality to the RSS feed called “Enclosure“. It was defined as passing any audio file (mp3, wav, ogg, etc), video file (mpg, mp4, avi, mov, etc), PDF, or ePub (electronic publication) into the syndicated feed. Weiner demonstrated by enclosing a Grateful Dead song in his website at Scripting News. This was an idea that was proposed by Tristan Louis. It wasn’t until Adam Curry and crew started iPodderX and in February 2004 the name “Podcasting” was coined by Ben Hammersley. But its roots all come back to this day when RSS 0.92 was demonstrated.